Top Executive, Donn Sorensen explains how leading with compassion changed his life and how it can change your business. Abesi Manyando, I'm always looking forward to learning and growing. The American dream has always been about finding and attaining success. It seems that in our competitive business world and in corporate America the premise of success is that you have to leave your emotions at the door. You must be aggressive and competitive at all times just to survive in business. The business world isn’t just a rat race its a jungle where only the strong survives. That’s what we’ve been taught right? Well one of America’s most successful Health Care Executives thinks we may have been taught wrong. Donn Sorensen is the epitome of the American dream. On paper he is the prototype of a Forbes profile. 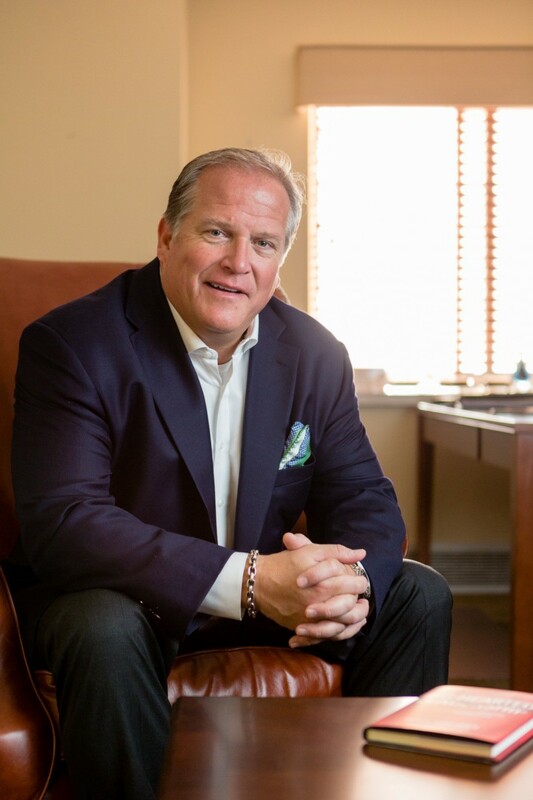 Success has encompassed the top nationally recognized healthcare executive for almost 30 years. He is the Executive Vice-President of Operations for Mercy. Which is the seventh largest Catholic healthcare system in the United States. So he definitely knows the secrets to climbing up the ladder of success. Sorensen has mastered the ins and outs of Corporate America and leadership but he says his greatest lesson was learned not in the boardroom but in a classroom filled with the young students that his non-profit supports. So although he may look like America’s typical successful executive, Sorensen has more to offer than what may meets the eye. While many of the world’s most influential executives are driven by their wealth and power, Sorensen’s drive comes from a different place. “Immense success doesn’t come from chasing wealth it comes from how you lead, having a passion and how you treat people.” He says he hasn’t built his best management teams with brainiacs from Ivy League schools but rather qualified people who have big hearts. Sorensen shares this in his book, “Big Hearted Leadership: Five Keys to Create Success Through Compassion” Sorensen’s book is a blueprint of phenomenal leadership and a tool to enhance what some extremely successful people lack, which is a successful personal life filled with honest joy that you cannot buy. It also outlines tips to become a better leader. “The secret to success when it comes to leadership and life is simple. You have to lead with compassion,” he said. Sorensen doesn’t just write and talk about the importance of compassion. He activates this outside of the boardroom. Sorensen co-founded a non-profit that he says taught him how to put this philosophy to practice. He is the Co-Founder of the non-profit organization, “Care To Learn” with Doug Pitt who is Brad Pitt’s brother. The Mission of Care To Learn is to provide immediate funding and resources for students in need. The organizations strives to meet emergent needs in the areas of health, hunger and hygiene so that every student regardless of income can be successful in school. Abesi Manyando is a Journalist, Scholar and Author who chooses depth over clicks. She enjoys wellness, art and things that move the soul.